We believe that community service is a natural act, derives from the mere affiliation to the community. Support of community members who need empowerment, improves their quality of living and at the same time, allows us to live in a better society. During the course of the last decade, we have been collaborating with the Eliya NGO, which promoted hundreds of sight-impaired and blind young children in Israel, through special programs tailored for them and their families. 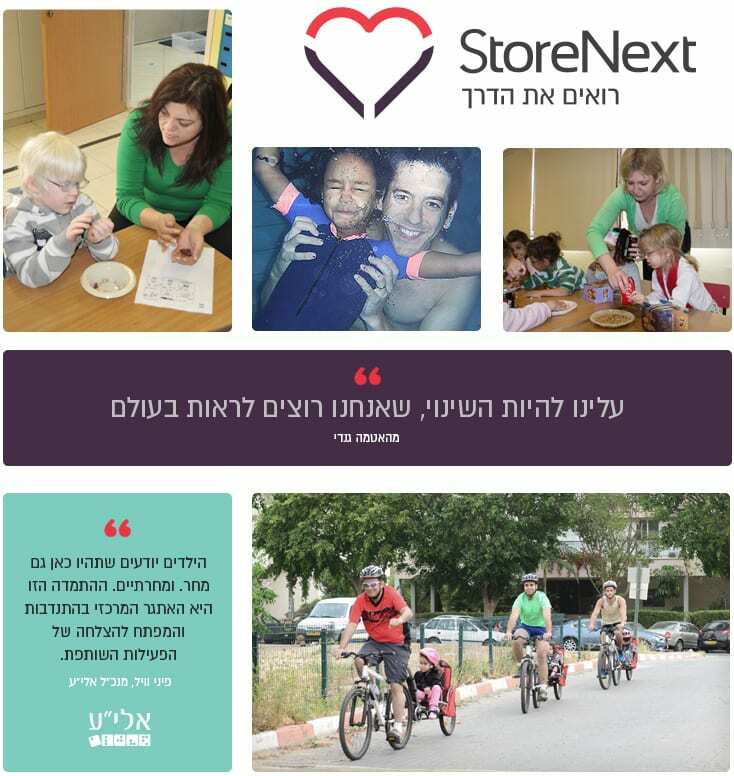 Over 70% of StoreNext’s employees volunteer in Creative Art classes, sports activities, story reading, etc. Within this activity, we also use our various areas of expertise, including support of the IT array and development of a unique gaming software, adapted to children’s needs and capabilities. The results of the activity are evident both among the children and the volunteers. The year-long connection allows us to take part not only in the activities themselves, but also in promoting the children’s abilities and confidence. The commitment of the company’s employees and the increasing demand to take part in volunteer work allows us to look forward to another decade of activity, with the same level of enthusiasm.